Next time you want to make a sweet treat in the kitchen, put a spin on the standard rice cereal and marshmallow mixture. 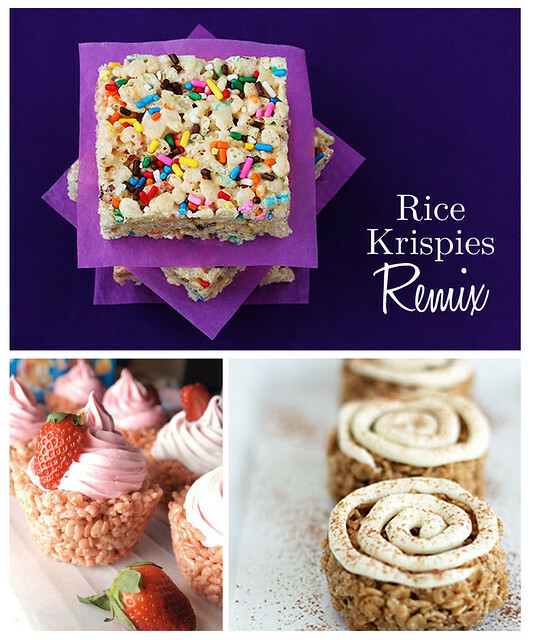 Remix your rice krispie treats! From Cake Batter Rice Krispies to Strawberry Cupcake Krispies and Cinnamon Roll Rice Krispies, you might never go back to just plain marshmallow treats!